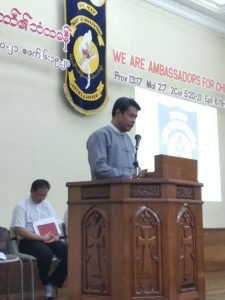 “Ptesenting the Myanmar Baptist Convention” to Final Year Students from 7 Baptist Seminary Bible Schools was taken place at Cushing Hall, MBC on February 8th 2019 from 7 am to 12:30 pm. The event was started by singing praise songs led by Rev. 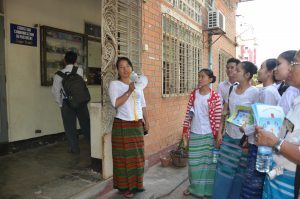 Dr. Samo Tun Lin Oo and Saya Saw Mahuya Wah. Director of Theological Education Department Rev. Dr. Saw Cyrus Sein led the introduction to all people who took part in that program. 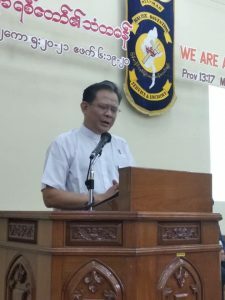 Then Sayama Nang Thuzar Mon, treasurer of the MBC led the opening prayer and Rev. Dr. Robert Pun delivered the welcoming speech. After that, “what is MBC? video was played and Rev. 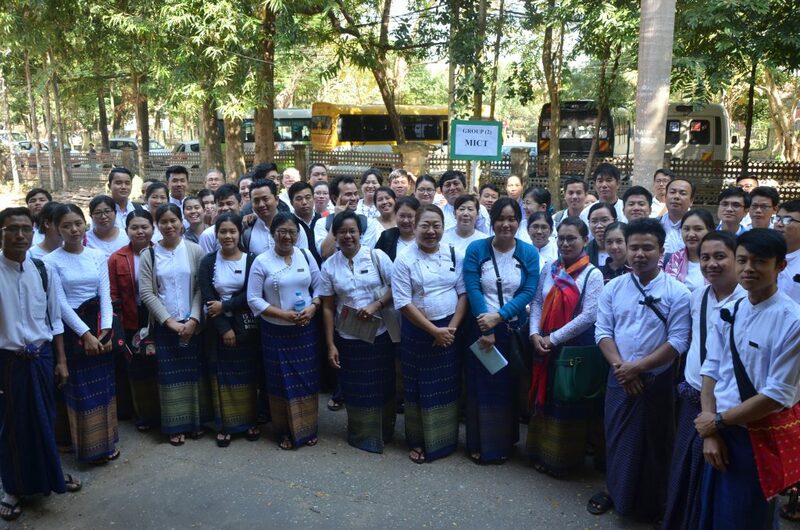 Saw Mya Min Lwin led the brief sharing on the Language and Regional Conventions and the departments of the MBC. Then visiting 12 different departments in smaller groups has taken place.”Questions and Answers” session was the last program of this event which was chaired by Rev. 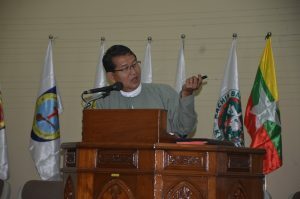 U Min Aung Tun from MICT. This event was concluded by the prayer and benediction of Rev. Lang Cin Thang. Saya Win Htut Naing said the grace and luch was served. 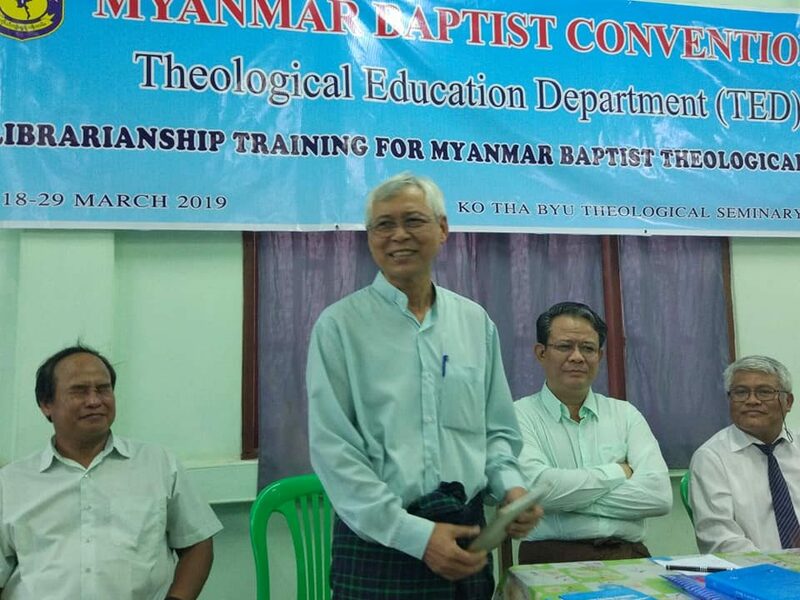 7 Baptist Seminaries who attended the presentation are Myanmar Institute of Theology (MIT). 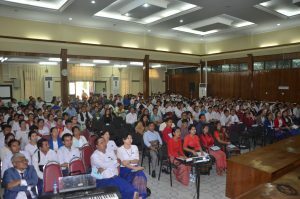 Karen Baptist Theological Seminary (KBTS), Myanmar Institute of Christian Theology (MICT).